Commenting on Jewish education and general Jewish identification in Odesa, JAFI staff members said that 10 to 15 percent of Odesa Jewish children and youth attend Jewish day schools. The low proportion reflects three factors, they continued: (1) the intermarriage rate is so high that only a minority of youngsters of Jewish heritage are halachically Jewish - and only the ORT school accepts pupils who cannot prove halachic ancestry; (2) the quality of general education in Jewish day schools is not high; and (3) general assimilation, which leads to a basic last of interest in Jewish education. Social programs (such as free hot lunches and free transportation) that previously attracted less affluent families to these schools have been pared back in response to economic distress, so few families see any advantage to a day school education. The majority of youngsters with Jewish roots receive no Jewish education at all, said JAFI staff. Only about 30 percent of families with Jewish ancestry are engaged in any Jewish activity. Even if they acknowledge that their maternal grandmother is Jewish, they claim that such ancestry is irrelevant to their own ethnicity. The writer spoke with Shlomo Azarov, the non-resident JAFI director in southern Ukraine and Moldova, one day after meeting with the rest of the Odesa-based local staff. In addition to local coordinators in Mykolaiv and Kherson (and in Kishinev, Moldova), JAFI also employs a part-time (15 percent, said Mr. Azarov) coordinator in Izmail. Prior to his appointment in Odesa, Mr. Azarov had represented JAFI in the Caucasus Mountain region and in Khabarovsk in the Russian Far East. Mr. Azarov stated that few Jews in Odesa are aware of JAFI activities. Due to budget cutbacks, JAFI has had to discontinue many of the clubs and other social programs that it once operated. It cannot afford to publicize its programs. Its premises, he said, are uninviting, not new and spacious like those of Beit Grand. 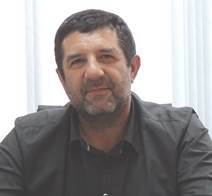 Shlomo Azarov JAFI director in southern Ukraine and nearby Moldova, actually resides in Israel. He supervises Ukrainian and Moldovan staff from Israel and tours the area for ten days every month. Aliyah from southern Ukraine is driven by any of a number of reasons, said Mr. Azarov. First, he stated, the economic and social situation in the area is driving people out. Life is difficult, and people are seeking a better life elsewhere. Also, many local Jews have relatives in Israel, so Israel is a natural destination. Especially advantageous absorption and employment conditions await professionals in particular fields that are in demand in Israel, such as medicine and certain engineering specialties. Israel also is attractive to Jews who have become Zionists through experiences in JAFI summer camps, Taglit, and other programs, Mr. Azarov continued. The type of JAFI year-round activities that often draw people closer to Israel, such as clubs and series of lectures or performances by Israeli artists, have been curtailed severely by budgetary constraints, he noted. Mr. Azarov described the mood in Ukraine as "worried." People see little stability; they are concerned about the nature of Ukrainian politics and about rising prices. Many Jews are concerned about the rising influence of the right-wing Svoboda party; in fact, he continued, when some young Svoboda activists saw him on the street, they said Heil Hitler! to him. Many Arab students are enrolled in Odesa educational institutions, stated Mr. Azarov, a situation that many Jews find disquieting. In response to a question about confiscations of local businesses, Mr. Azarov said that successful businesses are endangered if the owner is not close to those in power. In his assessment of the Jewish community situation in Odesa, Mr. Azarov noted a number of rivalries and antagonisms. Everyone is aware of the competition between the two chief rabbis, said Mr. Azarov; each of the rabbis lives in his own world, but each is "politically correct" toward the other. Rabbi Baksht, continued Mr. Azarov, seems to spend most of his time with his family in Israel, which probably is helpful because his absence reduces the likelihood of confrontations. Another local rivalry is that between Beit Grand and the Migdal JCC, he continued. JAFI tries to work with the Hillel student organization, said Mr. Azarov, but they do offer competing Taglit and MASA groups. The Israel Cultural Center (attached to the Consulate of Israel) is expanding its youth programs to the point where they are beginning to compete with established JAFI programs, he stated. 18. 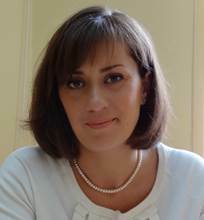 Irina Zborovskaya, the executive director of the American Jewish Joint Distribution Committee in Odesa, estimates the Jewish population of Odesa at 30,000 to 35,000 people. The general mood (настроение) in the city, she said in response to a question, is one of despair and frustration. Due to its role as a port city, Ms. Zborovskaya explained, the economy of Odesa is based on "buying and selling," that is, on trade and related businesses, such as the tourist industry, banking, private clinics and hospitals, and private schools. Odesa has little work for professionals outside these fields and its manufacturing base is very limited, thus providing few employment possibilities for the less well educated or for engineers. Irina Zborovskaya, a local woman, directs the American Jewish Joint Distribution Committee in Odesa. The education system is failing, Ms. Zborovskaya said, even at the preschool level. There simply are not enough preschools, she continued, so the laws of supply and demand dictate that those that exist charge fees that few people can afford. The teaching profession is not prestigious, and pedagogical universities attract only weak and incompetent students, Ms, Zborovskaya stated. The general school environment, she continued, is "rather scary." Youngsters are not being prepared for further education, and few scholarships are available for those able to qualify for college or university. It is "impossible," she noted, to save money for tuition. Day-to-day expenses are just overwhelming. Notwithstanding the existence of private clinics and hospitals, Ms. Zborovskaya stated, health care is at a very low level. The average person cannot afford these private institutions and, in any case, local physicians are not well trained, regardless of the specific clinic or hospital in which they practice medicine. The peculiar nature of the Odesa economy, continued Ms. Zborovskaya, provides few employment opportunities for men, in particular. Men have fewer coping skills to deal with unemployment, she asserted. Joblessness is increasing and, not surprisingly, the divorce rate is climbing, she said. Official employment statistics cannot be trusted because many people now work in the "shadow economy." People sell goods and services in street markets, and do not report this work or income derived from it. Inflation is about ten percent, she estimated. In response to a question, Ms. Zborovskaya said that it is not difficult for the hesed to find homecare workers now because people are desperate for income; "even middle-class Jewish women" accept such work now. The general situation is even worse in smaller cities and towns, Ms. Zborovskaya said. Jews in such cities as Mykolaiv and Kherson, are leaving such places; some go to larger cities, such as Kyiv and Odesa, and others are emigrating. Even middle-class families from large cities are leaving Ukraine, she stated, because they are concerned about the future for their children if they remain in Ukraine. Perhaps because of the stressful circumstances in which they live, people remain very interested in cultural life. However, admission to many events is very expensive. JDC is facing its own dilemma in this area, Ms. Zborovskaya said. She is aware that many people cannot afford to enroll in Beit Grand classes or to attend Beit Grand cultural events. Beit Grand requires a steady income stream, she stated, but people also need culture. In answer to a question about interaction with the Baltimore Jewish community as a product of the sister-city relationship between the two cities and their respective Jewish communities, Ms. Zborovskaya stated that more active collaboration can be expected in the future. She will go to Baltimore soon to explore such possibilities, and a delegation from the Associated: Jewish Community Federation of Baltimore is expected in May. 19. The Israel Culture Center operates as an adjunct to the Consulate of Israel in Odesa, where it manages the Israeli government Nativ Russian-language outreach program in southern Ukraine. The fundamental task of Nativ is emphasizing to local Jews the connection between their Jewish heritage and Israel. The focus is on working with adolescents and young adults, introducing them to Israel through various programs and encouraging consideration of aliyah (immigration to Israel). The Culture Center operates a successful adaptation of the Israeli Scouts program, enrolling about 150 adolescents in Odesa itself and 50 each in Mykolaiv, Kherson, and Simferopol. The Scouting program attempts to attract Jewish youngsters who atttend secular schools, recognizing that many of them have no ties to Judaism, Jewish life, or Israel. The Culture Center also sponsors its own Taglit/birthright and MASA Israel programs, filling three or four Taglit buses (40 people in each bus) annually and arranging MASA programs for 50 to 60 people every year. Several Nativ MASA programs enable Ukrainian Jewish youngsters to enroll in Israeli universities at greatly reduced fees, a major attraction to local Jews who are aware of declining standards in Ukrainian higher education. The Taglit programs offered by JAFI and Hillel - and other groups - contain many common elements, as required by overall birthright Israel regulations, but also include some components unique to each group. MASA providers offer their own unique programs, but some MASA sponsors will refer candidates to other providers that support a program that appears to be better suited to a particular individual. See page 34 for further information about the Israel Cultural Center. Under the Soviet regime, many preschools were operated by state-controlled trade unions, which gave preferential access to children of "exemplary" families. This system of preschools collapsed when the Soviet Union collapsed, and many preschool buildings were effectively sold to other institutions, including Jewish day schools. See pages 34-39 for further information about Mykolaiv. See pages 13-15 of this report for information about Beit Grand and the Odesa Jewish Cultural Center and pages 22-24 about JDC Jewish welfare programs in the city. Agro-Joint was established in 1924 by the American Jewish Joint Distribution Committee with Soviet support to bring Jews into "productive labor" on newly established Jewish collective farms and in industrial schools in Ukraine and Crimea. (Crimea was then considered part of Russia.) By 1938, perhaps as many as 70,000 Jews had settled in these new agricultural colonies. However, as Soviet dictator Yosif Stalin grew increasingly hostile to foreigners and foreign organizations, the leadership of Agro-Joint was arrested and shot; the entire Agro-Joint enterprise was terminated in 1938. Although some Jewish settlers re-located to nearby cities, others remained in rural areas. The majority of those who did not flee the countryside were shot by the Nazis during the Holocaust; many survivors moved to cities in the post-war period and/or emigrated, but some remain dispersed in small towns and villages throughout the region, along with their descendants. A small number of additional Jews also settled in the area. Grigoriy Ivanovich Petrovsky (1878-1958) was a prominent local pre-revolutionary political agitator, exile, and subsequent political figure in the city. His family name was combined with that of the Dnipr River to produce the current city name of Dnipropetrovsk. These figures were impossible for the writer to confirm. Clearly, large spaces in the building were vacant in mid-April. Rumors also circulated that prominent Jewish community lay leaders had exerted pressure on individuals and firms to lease space in the structure. The two men are principals in PrivatBank, Ukraine's largest bank. Mr. Boholubov now spends most of his time in London, and Mr. Kolomoisky resides in Geneva. The Ilana program is named in memory of a former participant who died as a young child. Beit Tsindlicht is named in memory of the maternal grandparents of Viktor Pinchuk, a native of Dnipropetrovsk who now lives in Kyiv and is married to the daughter of Leonid Kuchma, a past President of Ukraine. Mr. Pinchuk, who provided the lead gift for development of the building, is an oligarch with major interests in iron and steel products, as well as other industries. See pages 59-60 for information about Beit Chana.